At Shut Up Just Dance we guarantee we will make your event a SAY LESS SILENT SUCCESS. 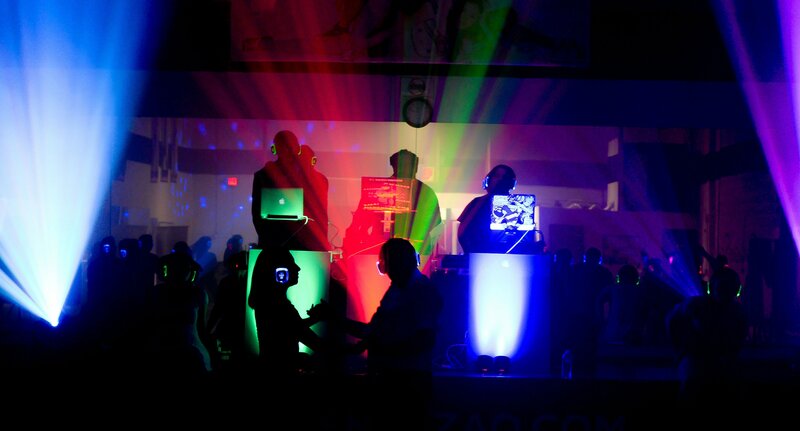 Our #1 goal is to create an unforgettable entertainment experience for you and your clientele. Over the years, we have been called on by some of the biggest names in the corporate and entertainment worlds to produce silent events and more. Shut Up Just Dance is the perfect fit for nightclubs, restaurants, corporate events, college parties, school dances, quinceañeras, sweet sixteen, bar mitzvahs, and more. If you are planning an event and would like to do something different then give us a call and watch as we make your event a SAY LESS SILENT SUCCESS. Are you only limited to listening to music? NO. The three channels are only limited by your needs and imagination. Shut Up Just Dance enables patrons to be able to listen to the big game (in different languages) while others dance and party. From bringing three unique crowds together for a dance experience in one room to giving guests three different entertainment experiences, we have the solution. ABOUT SHUT UP JUST DANCE! Shut Up Just Dance can be held anywhere. Grab your headphones and tune in to one of the three channels of your choosing. Then dance, sing, and move those feet to the sound of your favorite beat. The idea of hosting silent events came when the two brains decided to offer a more unique method of experiencing live music and entertainment. DJs install the equipment and broadcast the music or entertainment to the headphones. The patrons then use the headphones to listen to the music or entertainment of their choice. Don’t like what is on DJ-Red? Flip the switch and listen to what is on DJ-Green and DJ-Blue. With the headphones you are in full control of what you listen to. We went to a quiet event ourselves and while the music may blare through the headphones, the second you take them off it’s eerily quiet. Silent discos are a creative way for people to gather around in one place while having the option to listen to the music of their choice. People are in their own zone and everyone can enjoy their own choice of music, but it’s all about engaging people. Sometimes at our events - flash mobs can break out. 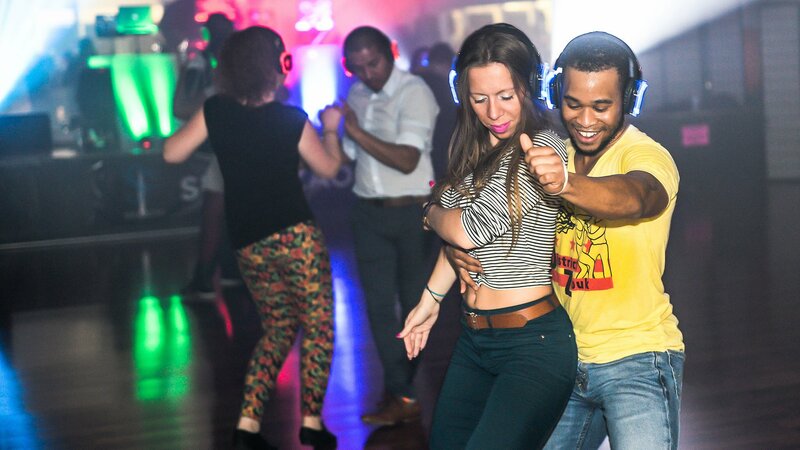 Most silent discos have two or three DJs who play different music throughout the night. 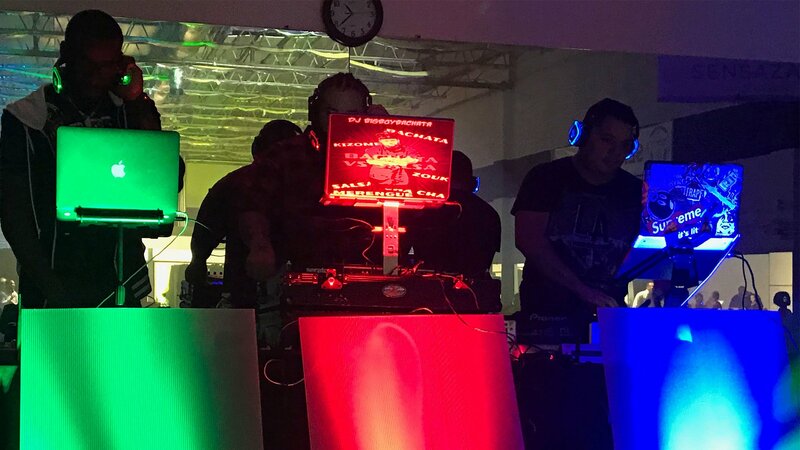 Each DJ is assigned a frequency and color so people can see how many people are on his station. Join us each and every Saturday at Lucky Strike 701 7th St NW DC for DC's #1 Silent Party! Every week come party with over 200+ people who would rather SAY LESS & PARTY MORE! This is the future of entertainment. Our wireless headphones enable you to throw a party anywhere, anytime. Noise restrictions? Not a problem. Our headphones will keep your silent disco going all night long. The headphones are a huge hit and a success. We used them a couple times throughout the night and they really reenergized the crowd! 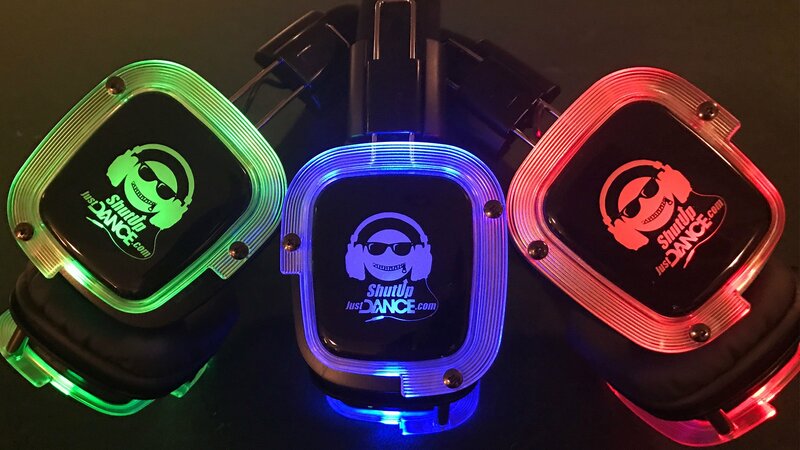 The silent disco concept has many angles and a unique and fun concept. We love pushing the envelope with our silent disco technology. 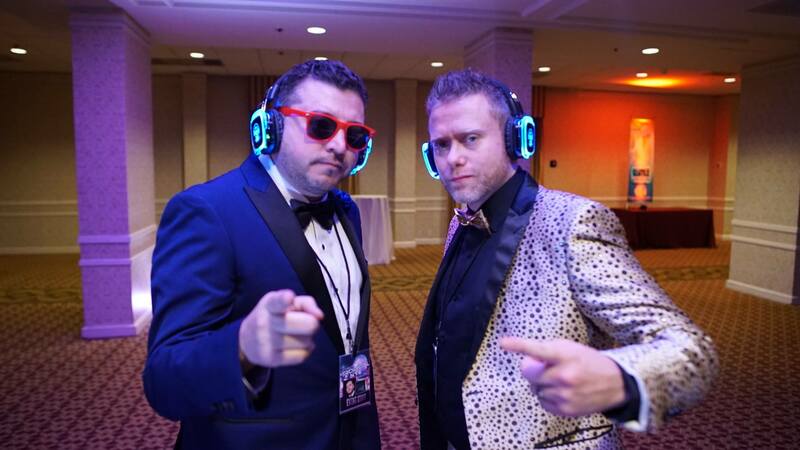 Silent disco experiences are our specialty. Stand out from the competition and connect with your audience in an unforgettable way.